Occam’s razor (sometimes spelled Ockham’s razor) is a principle attributed to the 14th-century English logician and Franciscan friar, William of Ockham. The principle states that the explanation of any phenomenon should make as few assumptions as possible, eliminating those that make no difference in the observable predictions of the explanatory hypothesis or theory. This is often paraphrased as “All other things being equal, the simplest solution is the best.” In other words, when multiple competing theories are equal in other respects, the principle recommends selecting the theory that introduces the fewest assumptions and postulates the fewest entities. It is in this sense that Occam’s razor is usually understood. I take action in the face of confusion, and you don’t. In my experience, “paralysis by analysis” is the most common barrier to action, and by extension, successful action. Because after all, analysis is the preface to action- it isn’t action itself. Should you do 6 sets of 2, or 4 sets of 3? My advice? Don’t even think about starting a training program until you’ve resolved this critical conundrum, because after all, both options involve 12 reps with the same weight, so obviously if you go down the wrong path, you’ll be screwed, glued, and tattooed. Another critical decision: should you bike or row for cardio on Tuesdays? God help you if you should happen to choose the wrong exercise or repetition bracket, or if you stupidly decide to train 3 times a week instead of 4. Because now you’re stuck for the rest of your training career. Too bad you didn’t think that decision through more carefully before you got all irrational and went and wrote yourself a stupid program. I really like the old carpenter’s adage “Measure twice, cut once.” But this philosophy is absurdly over-cautious when applied to training program design. A program isn’t a piece of wood- if you make an error, you have my permission to edit it. Honest. And don’t even ask me to evaluate your 18-week off-season developmental conditioning cycle, because it’ll make my eyes glaze over faster than last night’s episode of Oprah where that Dr. Oz guy is telling me to do some kinda meditation stuff for stress-reduction. Because let’s face it- 18 weeks from now, lots of things can happen. You could get sick, or even injured. You might break up with your girlfriend. Or find a girlfriend. Or lose your job. Or join some extremist religion that forbids the use of barbells. Or even more likely than any of the above, you might read some new article or book about some new training program that seems a hell of a lot more interesting than what you’re doing now. 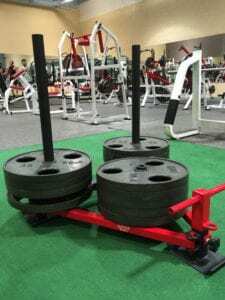 – Squat Heavy How much? How often? How deep? What kind of squat? – Eat Protein How much? How often? What kind of protein? – Set Goals How many? How hard should they be? In writing? – Record Your Training How? Why? What kind of paper? Now in most cases, people worry about the small rocks without even getting the big rocks in place- they’ve got the cart before the horse. So look- just squat. In the beginning, you’ll probably do it all wrong, but even that’s a lot better than not squatting. Then, little by little, you’ll figure out how to do it correctly, and guess what- you’re already great progress will get even better! And eat protein. Don’t worry about how much- just eat a lot. Don’t worry about what kind, we’ll get to that later. Get your big rocks in the jar first, then we’ll worry about the little rocks, and maybe someday we’ll fill the rest of the jar with sand. Maybe. Ever notice how lots of people make great progress doing “stupid” stuff? It’s because they’re doing while you’re not doing. Doing stupid stuff will always beat not doing smart stuff. That’s it – you’re done. Go squat and eat some protein. Killer Whole Body Day With Michelle F! Funny Bodybuilding Supplements Video - Part 2!Got Booty? The Facts On Booty Building Sneakers!